South Florida welcomes millions of visitors every year. Many of them rely on rental accommodations while they are here – whether that is a hotel or a resort or a private home or campground. Property owners who welcome patrons onto their site for the owner’s financial benefit owe the highest duty of care to ensure guests are not endangered by unreasonable hazards. When they fail, claims can be made under an area of law known as premises liability. A hotel injury lawsuit was recently weighed by the U.S. Court of Appeals for the Seventh Circuit. 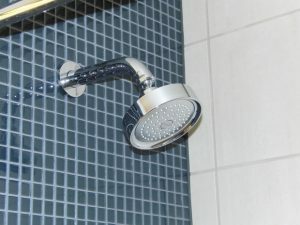 In Parker v. Four Seasons, plaintiff was injured when, as she exited the shower by opening the shower door, the glass exploded. Shards of glass covered her naked body, causing her to sustain injuries. Her sister, who had been in an adjoining room, called for help and the hotel engineer responded right away. He looked at the overhead track and remarked that the “stopper moved again!” He went on to say that several of the newly-installed glass doors at the hotel had shattered because the track stoppers weren’t properly working, which meant the handles of the doors crashed into the walls, causing the glass to break. The engineer noted the room the plaintiff was staying in had been on the “do not sell” list for this reason, and urged the sister to make sure hers wasn’t on the same list. It was later shown plaintiff’s sister’s shower door had the same defect. Evidence was presented later that showed the door in plaintiff’s room had already been shattered and repaired, and further that there were numerous rooms where this same problem existed. When plaintiff filed her injury lawsuit, she sought both compensatory and punitive damages. Compensatory damages are those paid for actual losses. Punitive damages are those paid to punish the defendant for egregious wrongdoing – and to prevent others from doing the same. The court must approve plaintiff’s quest for punitive damages, and here, the trial court did not, finding the evidence insufficient as a matter of law. On this point, the federal appeals court reversed. According to court records, the hotel conceded liability in the case, so the issue had to do with the amount of damages plaintiff would receive. 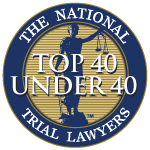 Plaintiff originally sought compensatory and punitive damages for $150,000. The hotel moved to block plaintiff from raising the issue of punitive damages (which can often result in a much higher award than compensatory damages). The district court sided with defense, denying plaintiff the right to pursue punitive damages. The case went to trial and jurors awarded plaintiff $20,000 in compensatory damages, reducing that amount to $12,000 after a set-off. Plaintiff appealed, arguing the lower court erred in concluding her claim for punitive damages failed as a matter of law. The hotel argued the appeals court should only review for abuse of discretion. However, the appeals court noted the lower court’s decision was based on whether the claim could be sustained as a matter of law, not whether evidence should be excluded or admitted. The court noted summary judgment in an injury lawsuit is only appropriate when there are no genuine disputes of material fact. Here, there were still several disputes of material fact as it pertained to whether defendant acted willfully or with gross negligence to indicate a wanton disregard for others – the standard for allowing plaintiffs to seek punitive damages. Specifically here, the question of whether the hotel thought it repaired the problem or whether the room was pulled from service for a different reason are questions of fact for a jury, not a matter of law for the judge. Therefore, the case was remanded for a new trial, this one allowing plaintiff to seek punitive damages.